← What helps me through difficult times? Speedy recovery, Pamela! Thanks for sharing this lovely story about friendship. Thanks, Katherine. 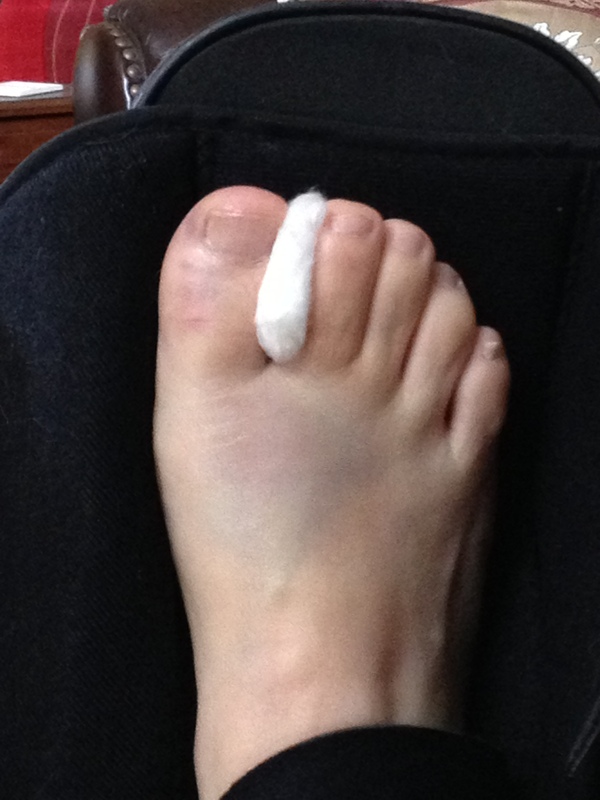 My toe is healing well. It went through many colors; currently a lovely yellow green. I had lunch again with Bettye on the one-week anniversary of my gymnastics. Thankfully, nothing spectacular happened. So sorry! But nice story.